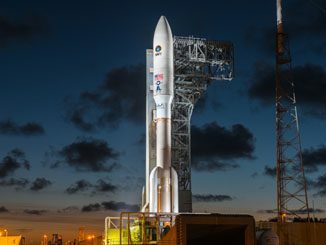 A new generation of spacecraft with unprecedented clarity and speed to observe the weather, improve forecasting and enhance tracking of severe storms across the United States begins with the launch of an Atlas 5 rocket on Saturday. 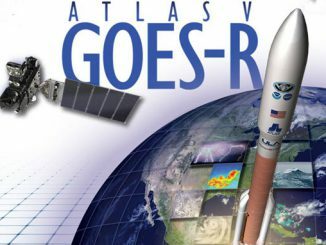 In the span of two weeks, United Launch Alliance technicians performed the basic buildup of the Atlas 5 rocket and then mated the advanced GOES-R weather satellite that will be hauled into space on Saturday. 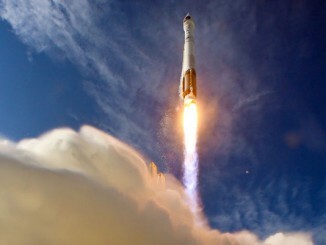 Near-perfect weather for launching a rocket into space is expected at Cape Canaveral on Saturday when an Atlas 5 rocket is scheduled to fly. 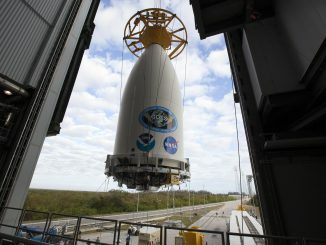 The opening volley in the transformation of U.S. weather forecasting was mounted atop its ride to space today for the planned Nov. 19 launch that begins an $11 billion upgrade in the nation’s meteorology capability. 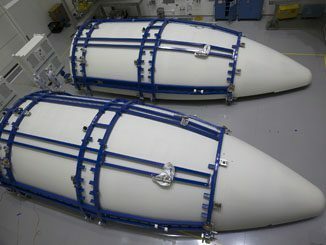 United Launch Alliance encapsulated the Geostationary Operational Environmental Satellite-R, GOES-R, on Oct. 21 at the Astrotech payload processing facility in Titusville, Florida. 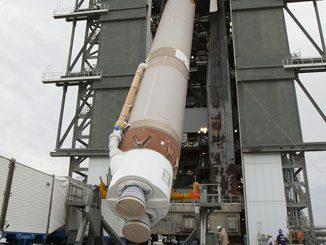 Technicians began the painstaking work of assembling a powerful Atlas 5 rocket today, a launcher that will deploy an advanced satellite to substantially improve U.S. weather forecasting. 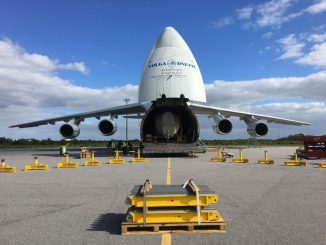 Taking delivery of the Atlas 5 rocket that will boost an advanced weather observatory into space next month, United Launch Alliance and the Air Force are back at work following disruptions from Hurricane Matthew. 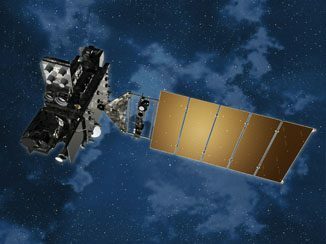 On the cusp of advancing U.S. weather forecasting, a powerful new satellite was shipped from its Denver factory to the Cape today in preparation for launch in November. 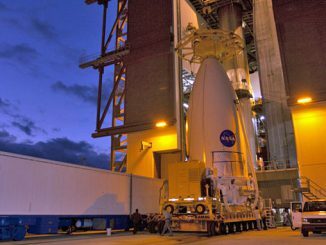 Orbital ATK has ordered another Atlas 5 rocket to launch a second commercial Cygnus cargo craft for the International Space Station.